When the Drops team launched in 2016, they quickly established themselves as one of the most professionally run and well-respected set ups in the British women’s peloton. Since then they’ve racked up some admirable performances in the biggest races on the domestic and international calendar. From the Tour Series to the Women’s Tour to the Tour Down Under, the Drops squad showed that they weren’t afraid to get stuck in against fierce competition. The team’s founding principle of providing a development pathway to the top teams was realised in 2017 when Alice Barnes signed for Canyon-SRAM, and Eva Buurman followed suit in 2018 as she progressed to the Boels-Dolmans team. Despite their success, though, the team were very nearly forced to close after the 2018 season. With their bike and title sponsor pulling out unexpectedly, the team eventually resorted to crowdfunding as a last ditch attempt to stay in the game. In this the first of three parts, I speak to Co-Team Director Bob Varney about just what went wrong, how he coped through it all, the team’s plans for the future, and his thoughts on women’s cycling as a whole. Thinking back to last year, was it Trek’s departure that was the major blow? When were the first signs that the team may not be able to continue into 2019? Yes, the Trek news, which we didn’t receive until May of last year, was a very big surprise for us. There was no indication that anything was wrong before that point. We’d been talking about lots of issues as a mutually beneficial arrangement, so that did come as a big surprise. It put us on the back foot a bit really, in more ways than one because they were obviously bike sponsor and co-title sponsor. So yes, that was the first part of our struggles, for sure. So once you knew Trek would no longer be involved, what were your next steps? We went to Eurobike in July and we had a very positive meeting with Cannondale. They were enthusiastic from the get-go and we shook hands on a deal there with Jonathan Geran, Cannondale’s Global Sports Marketing Director. However, they weren’t quite sure how the team would look at that point. Obviously we were still without a title sponsor, we had four riders with good UCI points signed, and of course they subsequently went. So Cannondale were slightly nervous about ordering our full quota of bikes from their factory, so there’s been a slight delay on the race bikes arriving, but they should be with us by the start of March. They did provide us with very high quality training bikes for the training camp and the first race so they’ve been very supportive. Where did the idea for the crowdfunding come from? The crowdfunding was very much a last resort. We’d had an ongoing conversation with a prospective co-title sponsor and we’d exchanged letters of intent, we’d drawn up a contract, and they’d even given us some edits to the contract, but they decided to go a different direction three or four days before the UCI deadline for registration. So the crowdfunding was purely a last resort to save the team and raise awareness of our plight. Did you expect to receive the support that you did? We thought we would get quite a bit of support. I actually thought we might get a bit more financial support from the grass roots but I do understand it’s a difficult time at the moment. I think we were a bit reticent to beg for money, but the most important thing was it raised awareness and a couple of business owners got in touch and donated offline and a couple of companies stepped up with sponsorship, so we managed to save the team. We’re just so thankful to everyone who did support us because it wouldn’t have been possible without it. It must have been incredibly difficult to see the team’s future in jeopardy. How did you stay positive throughout the process? Were you close to calling it a day at any point? It was the most stressful part of my life, if I’m honest. I’ve done lots of very interesting things but that was by far the most stressful period of my life. We’d got riders that I felt responsible for. We’d got other sponsors that had stayed loyal to us that I felt responsible for. So I was incredibly determined not to let it fail. I was just focussed on saving the team, above anything else in my life in that period. Thankfully we were able to do that. Unfortunately we weren’t able to go to Australia even though we had an invitation from the organisers who have always supported our project. But we had a successful training camp in Spain in mid February and we had a nice start to the season in Valencia where there was a strong performance from Abby-Mae Parkinson in the U23 competition. So we’ve kind of drawn a line in the sand really and now we’re concentrating 100% on the racing to come. So the team has been saved for 2019, with a number of new sponsors on board. Are you taking each day as it comes or are you already looking ahead to 2020? We’re already working on projects for next year. I’ve even had two or three emails today. I’m really strongly of the opinion that a lot of sports sponsorship has been way more affected by Brexit than any of us thought to start with. It’s not easy to raise funds, and a lot of people with marketing budgets are not doing anything with it at all, they’re just hanging fire and preparing for a really tough year post-Brexit. So I think if we can get through Brexit and people start to release their marketing budgets a bit then we have a fair chance of getting the right funding in the team later in the year to get back on track for where we really want to be for next year. Are you just looking at UK businesses to support you or have you been looking further afield? No, we’re looking at beyond the UK. We have an agency working for us, who were working for us last year, and we have every faith in them. So we’re trying to do things properly. We have good sponsorship packages and all of our social media numbers are very good. Drops is a very positive well thought of brand. It’s just getting the right fit with another brand that wants to come on board and support us. If you can secure the financial backing that you need, where would you like to see the team going in the next few years? Well this is year four, so far, so we’ve put a lot of hard work in to get to this point and we don’t really want to close the team at the end of this year. Although we would do that. We would close the team at the end of this year if we don’t have the right funding. We’ve always wanted to be part of the solution for women’s cycling and I think if we continue on incredibly low budgets we actually just become part of the problem. It would be survival of the fittest and we wouldn’t be fit enough to survive at the level we want to so we would put our hands up and say we’ve given it our best shot and walk away. That’s really the last resort, though. We are still ambitious, we want to be in the top levels of women’s sport and we want to give British riders that pathway to the top racing. We still feel that having international riders to mentor the young British riders is the way forward. So we would be British registered with a British heart, but say with four international riders to basically supplement our British riders. So we still see that as a good plan and that’s what we’d like to roll out for the future. What about paying riders, is this something you do already or is it an aim for the future? This will be the first year as a pro team that we’ve not paid our riders. It’s a big thing of ours; we paid good wages last year and the year before. We think a professional bike rider should be paid and if you don’t get paid you’re not really a professional bike rider even though you may hold a professional licence. We have strong opinions on that. We wouldn’t run the team in 2020 if we couldn’t pay them. We just simply wouldn’t do it, because then we’d be part of the problem, not the solution. Is your philosophy on this in line with other top tier women’s teams? Yes, we did our research a couple of years ago and it was the founding principle of the team in the first year that we were proudly an amateur team. We didn’t pretend we were professional. In 2016, we proudly told everyone we were an amateur team. The girls didn’t get paid but did some really good races. We had first class sponsors, staff and care levels, and a good race programme, but we just couldn’t pay them. And then in 2017 and 2018, they were all paid. I think roughly about 50% or 60% of professional women get paid, so there’s a good chunk that don’t. There are the ongoing surveys that the Cyclists’ Alliance, the women’s representative body, produces about wages and they’re always an interesting read. Women’s cycling is certainly on the rise at the moment, with the majority of races adding women’s editions and some standalone races like the Women’s Tour going from strength to strength. What are your thoughts on the women’s scene, both domestically and internationally? It’s a challenging time, I think, for the administrators because on the surface it looks like it’s improving, which it is, there are huge steps forward being made, but on the ground we’re the only British UCI women’s team, and we only have ten riders. Last year there were three British UCI teams and probably nearer forty UCI licence holders, so that’s not particularly good. But the level of racing at the highest level, more TV exposure, higher quality races, longer distances, that’s all positive. It may well be like I said earlier that it’s survival of the fittest and there’ll be fewer teams that are better funded, more professional, and the weaker teams die away. That may well be the way it goes and if it does, it does. You know, we can all try to be up there with them but if we don’t get the funding it’s just not possible. There are a few ‘super teams’ at the very top who have the vast majority of the best riders, like Boels-Dolmans for example. What are your thoughts on those teams and what they do for the sport? I’m a big fan of Boels-Dolmans. I don’t think it’s damaging. I think Boels-Dolmans are a very good model. 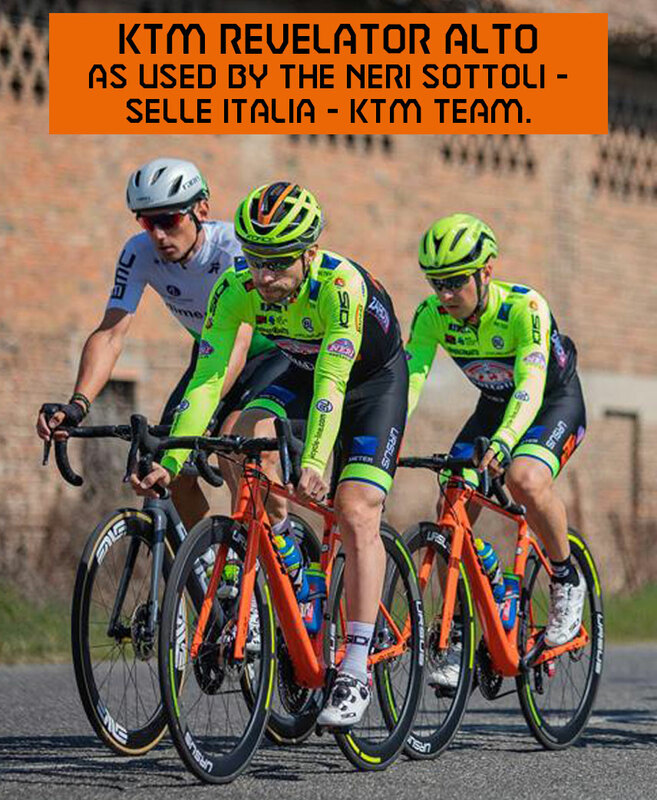 They were built up from a non-registered club team into a UCI team. They’ve increased their investments year-on-year, they engage with true sponsors that love the sport, that engage with it and get a return on their investment. So I think the Boels-Dolmans model is very sound and should be plauded, not derided. Canyon-SRAM are another one, and you have the big UCI men’s teams that are obviously seeing the opportunities that exist in the women’s side. So yeah, there are a lot of good teams out there and there are a lot of teams that are not so good so I think that will polarise in the next couple of years. For any businesses considering getting into sport sponsorship, how would you pitch women’s cycling to them? From the Drops point of view we’ve got a lot of experience from the last three years, not only in the UK but globally – we raced 73 days of racing in 13 countries last year. We come from a business background so we know what our sponsors and partners want in terms of activation. Activation is very key; if you get a sponsor on board with an activation budget you know you’ve got a good sponsor. We have one with Every Can Counts – they ‘activate’ on a regular basis and then it gives them a good return on investment. Women’s cycling in general, well I think women’s sport in general, is better value for money than its male counterpart. There’s more and more TV coming in, whether it be football, cricket, rugby or cycling. It really is starting to go places, which makes it all the more frustrating that we weren’t able to land the sponsorship levels that we aspire to this year, but we’ll keep on fighting this year and see where we are at the end of the season. Finally, with the challenging winter behind you, what are the team’s ambitions for 2019? We want to keep on developing our riders so they can be the best they can be. I think our two young riders that stand out for me are Abby-Mae Parkinson and Lizzie Holden. They’ve really stepped up in the last couple of years. They’ve been progressing nicely, and I think this is the year that they’ll step into the shoes of Alice Barnes and Eva Buurman who’ve gone on to Canyon and Boels. And then we have fresh new young talent coming in as well, with Meg Barker being our newest recruit. But then you’ve also got Elinor Barker, who grabbed that amazing track world title yesterday, and she’s very keen to have a full road season this year and she’s keen to develop her road career after the 2020 Olympics. So there’s still a lot to be excited for. We are ambitious but we have to temper that a little bit with reality, so we’ll be picking and choosing what we target and I think I’ll just say watch this space! Part 2 of this feature, in which I speak to two of the team’s sponsors, will be published very soon. You'll find me at a cycling race, often with a camera.